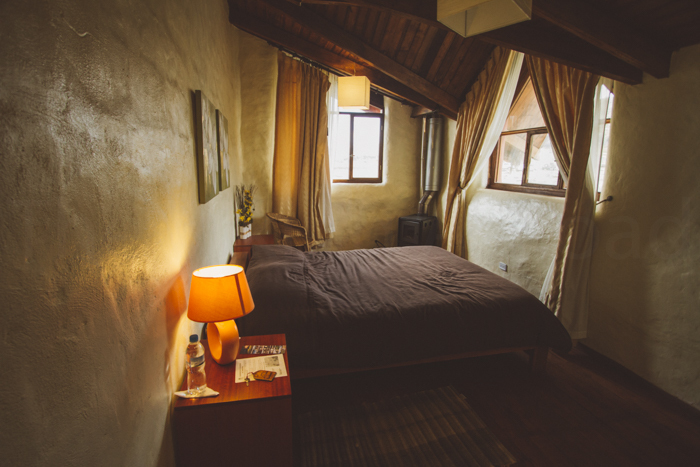 Tambopaxi is definitely the best place to stay in Cotopaxi National Park. 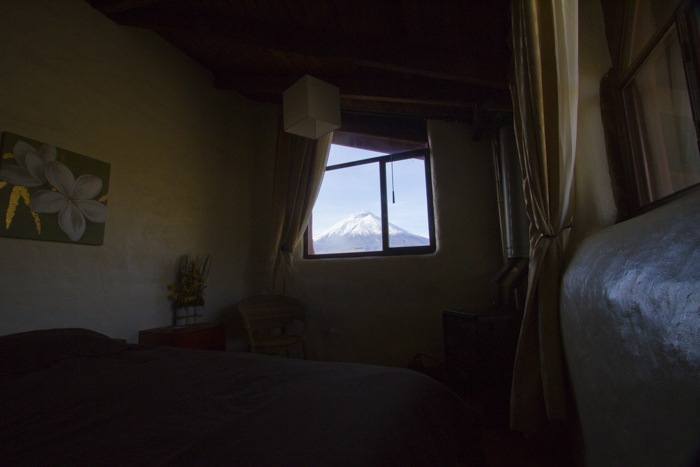 Whether you choose to stay in a private room, in a tent or in a shared room with friends you will get an excellent view of Cotopaxi volcano. 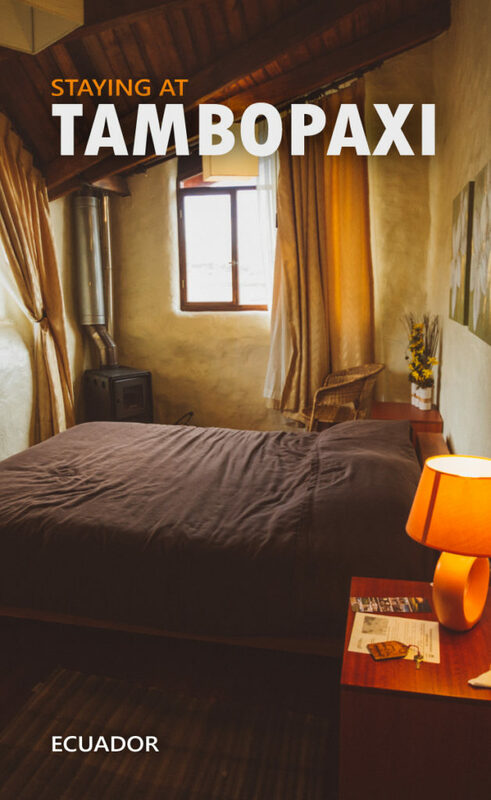 Tambopaxi is located 3 kilometres from the first parking lot near Cotopaxi Volcano. It is walkable from the parking lot, but it is a lot better to drive if you have a heavy backpack with you. Tambopaxi has its own free parking area. Tambopaxi is at 3750 meters above sea level which is a good attitude if you are planning to climb the summit of Cotopaxi some days later. I stayed in a VIP double room. It was amazing. 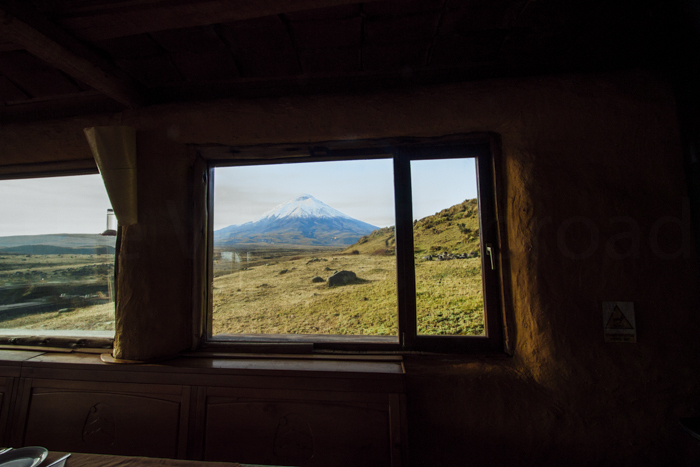 The view is incredible, you will be facing Cotopaxi. They put fire in the chimney around 6 PM which makes the room warm and nice all night. 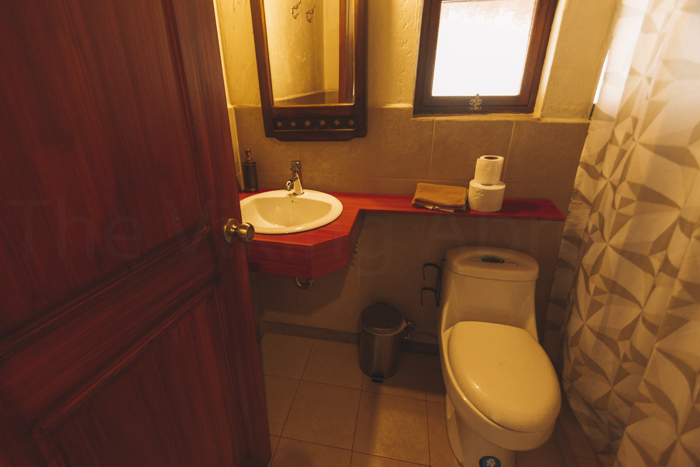 The bathroom was ok, not huge but clean and the toilet flush worked fine. The water pressure of the sink was not so good though. 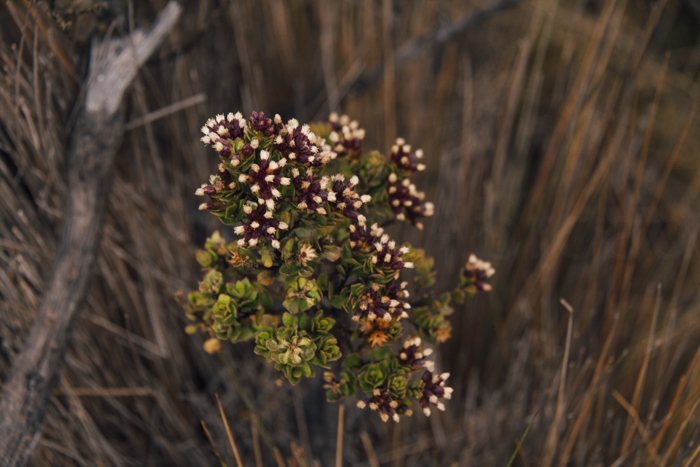 Un destino diferente y confortable, para disfrutar de la naturaleza. A photo of the common area in the shared dorm building. There are plenty of things you can do during the day. 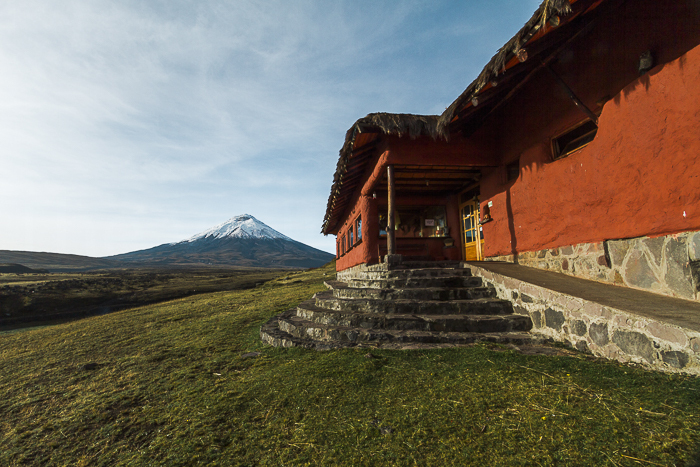 You can, of course, hike up to Cotopaxi volcano, do horseriding from $15, cycle or visit Limpiopungo. 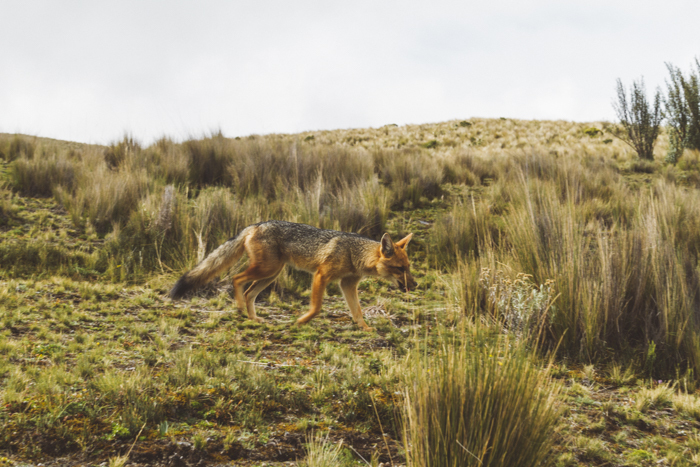 If you are lucky, you might see an Andean fox lurking around the park. 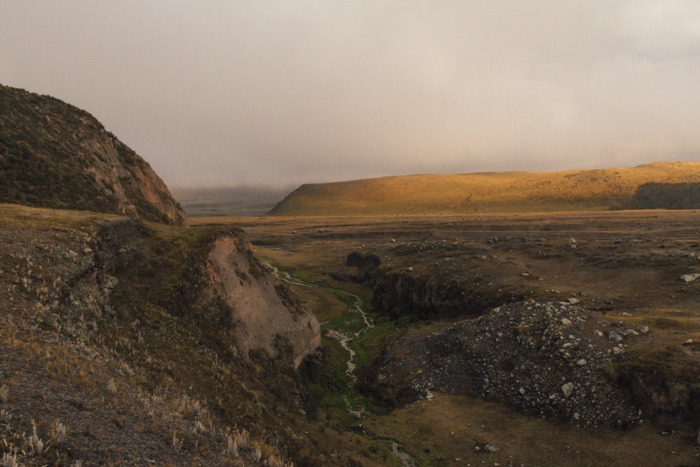 The landscape around Tambopaxi is incredible. It is worth exploring! The breakfast is included. You can buy meals like lunch, dinner and snack, that would be added to the payment you do at the end. You can also visit the restaurant if you are not staying the night. They offer a daily menu with a soup, main meal like a beef dish, chicken or trout and a small dessert. They also offer different dishes like hamburgers, spaghetti, salads and soups. The restaurant is very cosy. Decorated with flags and they also have a chimney. They have a sofa corner where it is perfect to enjoy a hot tea or a glass of wine. There is internet throughout the whole lodge. However, I had some trouble with connecting in the VIP room and it was quite slow in the restaurant. That could be a one-time-issue because some people said the internet was excellent the day before. 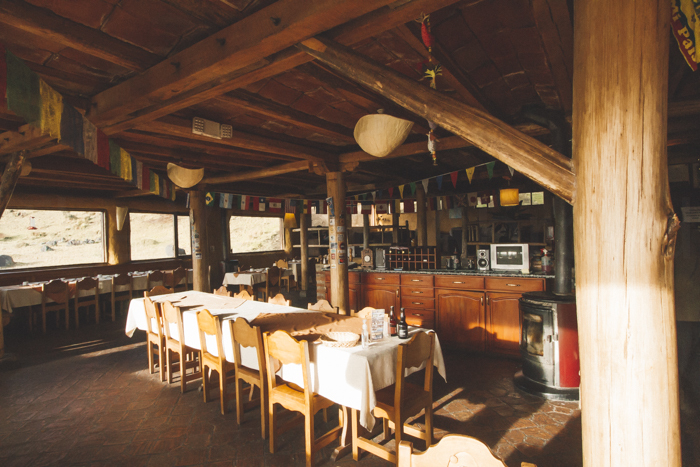 Be aware that Tambopaxi is basically in the middle of nowhere, but the lodge has fully functioning phones and connection if you need that. The prices of the private suites start at $45-$255 depending on how many people who will share the room. 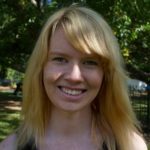 The bunk dorm start at $20 per bed and camping is at $13 per person. Check this link for more detailed information on the prices. For the prices, it really is a steal! What a view from the room and if you’re saying it enjoys full connectivity in the middle of nowhere, its like a dream come true! 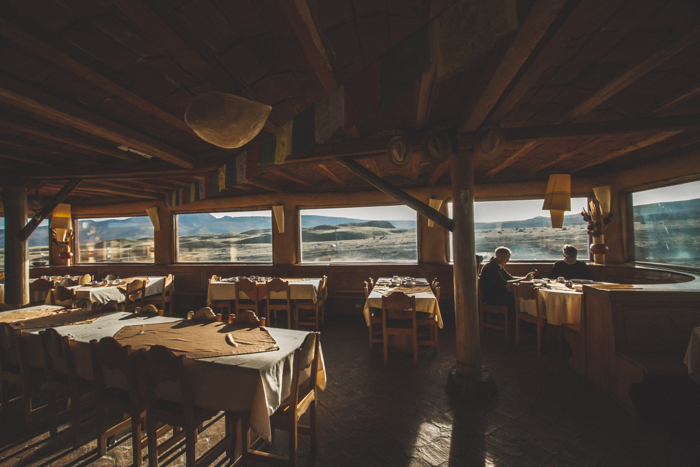 Awesome views all around – that is truly a perfect volcano, and the restaurant looks like a great place to relax. I would love to explore more of the park, and Tambopaxi looks like a decent home base. This place looks great, especially that common area! My gf and I are about to move into Chile but Ecuador is on the list for next year so I’ll be keeping this one in mind. Out of those activities I think I’ll be doing the cycling. Want to have some speed if that volcano erupts! Generally, the places which rise out of nowhere are the best places to stay. No doubt Tambopaxi elated you. The view from the window makes up for the patchy internet connection and water pressure of the sink. I think I have never stayed at a place with functioning chimney! Wow! This must have been an unforgettable experience, Vibeke. Your pictures show a very charming and picturesque place. When’s the best time of the year to go there and explore the place?